Little Eden is a place for children to be. 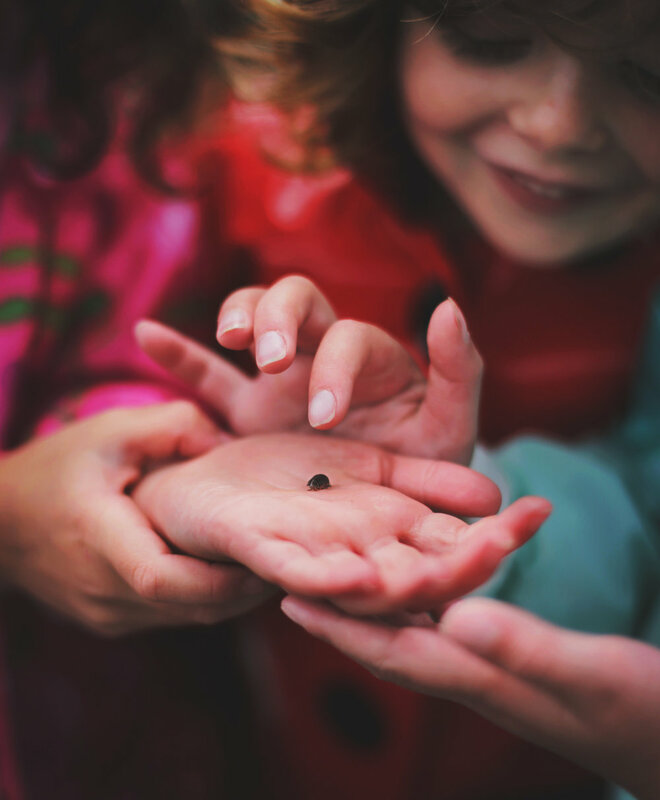 Our space is thoughtfully designed to be developmentally appropriate for children to feel empowered to make decisions, explore their wondrous curiosities, and form friendships with others. We value our relationships and strive to build a supportive family community for your children and for you. I believe that the classroom is a microcosm of the larger society. Starting from a very young age, human beings begin learning the tools that they need to not only successfully operate in society, but also have a positive impact on others and this world. I provide a child-centered learning environment where each and every child can thrive as they learn social and emotional skills side by side peers of different ages. By partnering with families to better understand and guide each child, my goal is to empower individual self-expression while nurturing their innate compassion towards others. Drawing from my experience in Montessori and Art Education, my philosophy is simple: Education is a means to peace. Child-centered approach focused on art education and Montessori pedagogy. Free exploration of art mediums and materials will be balanced with introductory lessons on elements and principles of design, such as colors, shapes, lines, and patterns. Along with key Montessori materials, the invisible curriculum of grace, courtesy, and social responsibility will be present and guided by an experienced teacher. Little Eden fosters curiosity, cultivates creativity, and empowers children with self-confidence. Using Visual Thinking Strategies and providing a variety of learning situations, the teacher will lead children to articulate their thoughts and feelings. As critical as what’s stated above, the teacher will give each child her full and undivided attention as she acknowledges and validates each child’s message. As children express an interest in a variety of topics, the teacher will design activities to ensure that the children can further explore their interests and that there is an outlet for expression, for example in the form of an art project. Provide a supportive family community. Offer parent education classes to brainstorm ideas for resolving home and childrearing challenges. Various child development specialists will discuss topics as hosted by Little Eden. Family play dates will be scheduled throughout the year so that children and families have the opportunity to get to know each other better. Class updates in newsletters and/or social media will be provided so that parents have a better understanding of what happens inside the classroom. The content will include birthdays, welcoming new families, and any cultural events or family traditions that parents have shared with the class.